We have chosen to give to our kids some sort of education in each country were we stayed. In Leukerbad we sent them to the Kindergarten at the Villa Champignon, in Bali to the Holistic Bilingual “Pelangi” school. 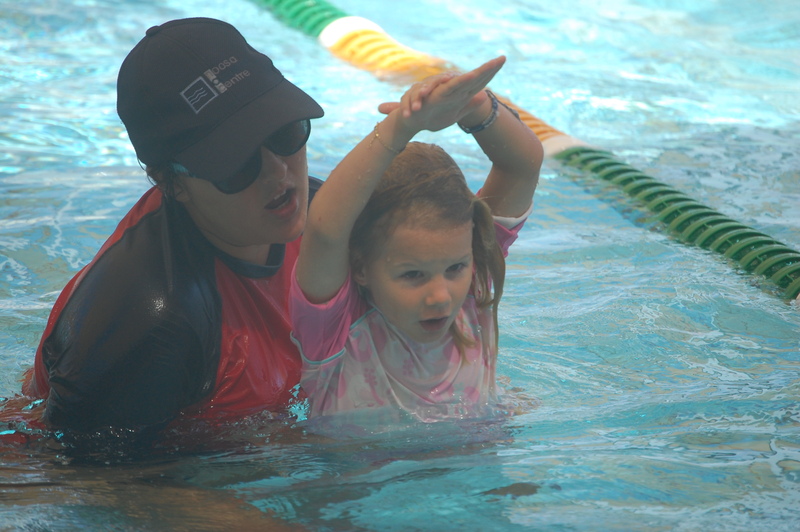 In Australia we sent them to intensive swimming school at the Noosa Aquatic Centre. 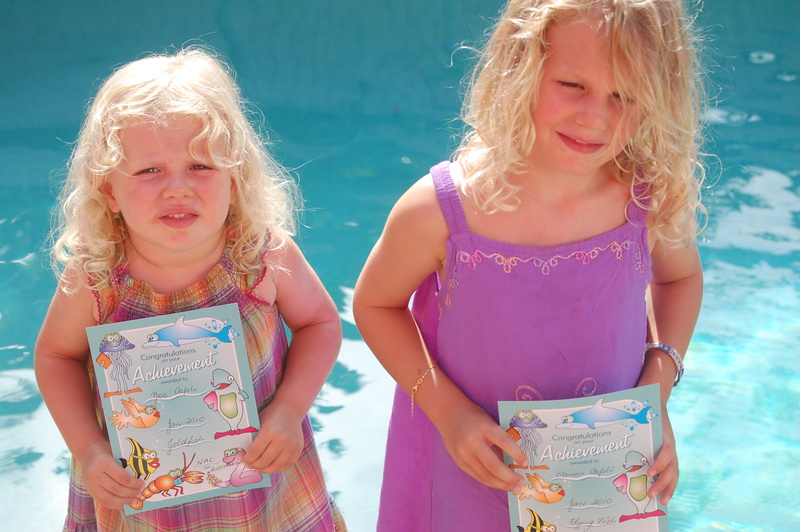 Manon went to the Flying Fish class and Zoé to the Goldfish class. 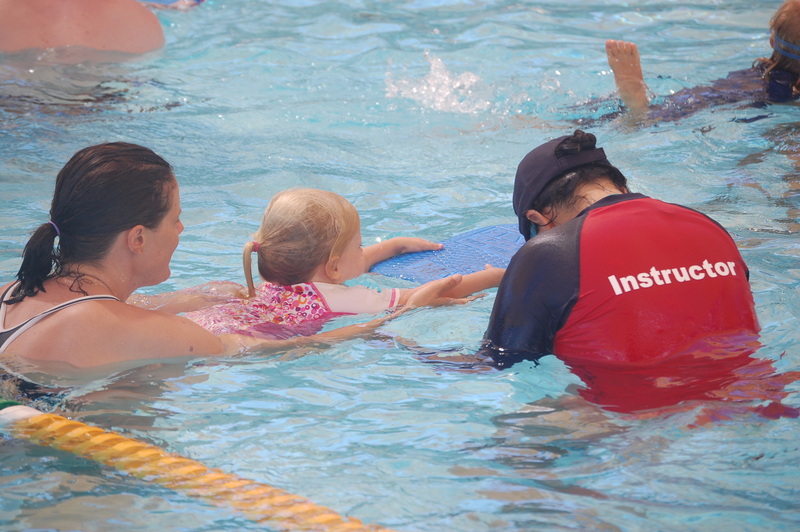 The instructors were just great, singing, having fun, playing with plastic Doris and Nemos and teaching the kids the basics of swimming. They never focused on technique, just on movements in the water that would give them a fighting chance against drowning. It is not an exaggeration to say that the last 3 weeks, our kids spent 2-4 hours playing in the water every day. They love the water, they feel confident in it, I cannot imagine bringing them back to a place where they cannot go in the water whenever they want. 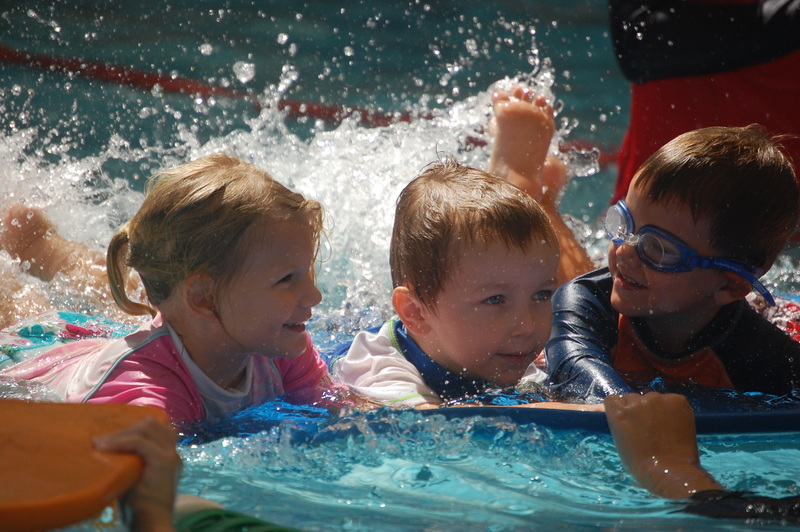 I can also hardly imagine now an activity more suited for the development of the child than swimming. 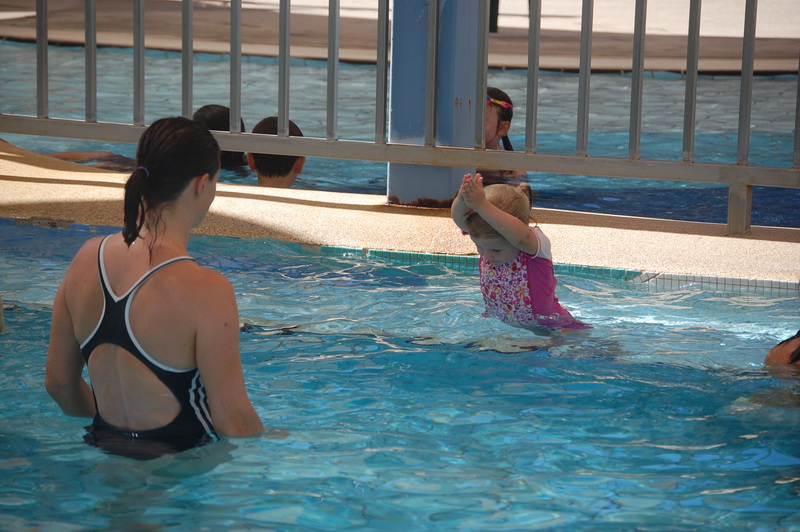 I knew that I loved to swim as a kid, but I discover now as a parent how important that element is to my children. Both Manon & Zoe can pick up objects that are 1m underwater. Zoé can stay about 10 second underwater. I hear in the background: are you pushing them to become swimmers? No, I just enjoy see them play and learn to dive, to float, to go underwater and I want to give them access to water, always. Thanks to Manon & Zoé and our Yoga classes, we started to build an interesting network of people in Bali. We were invited this week-end to participate to a trip to Lembongan. 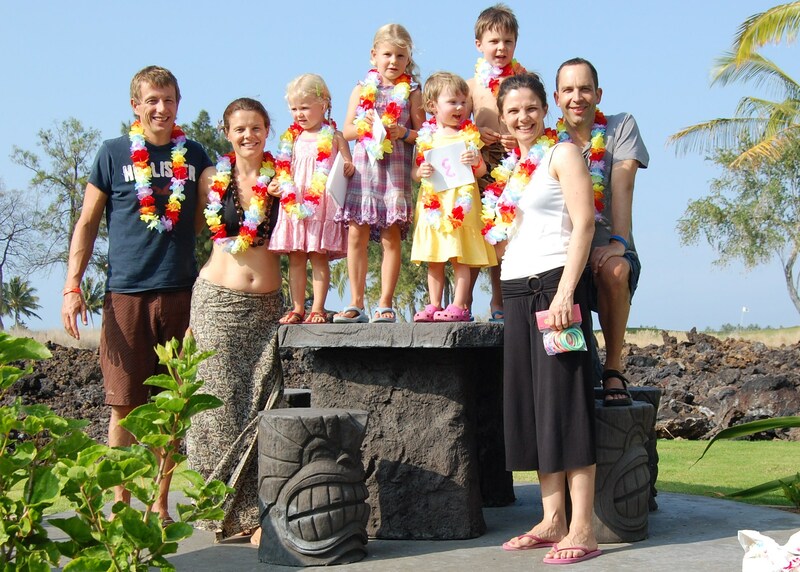 Most of the participants had kids the same age as Manon & Zoé and most of them are Westerners living in Bali. After a taxi ride down to Sanur from Ubud and from Sanur an outrigger boat ride to the Island, we arrive at Mainski, a small surfer’s place with reasonably priced accommodation. Its has an infinity pool facing the beach and the sea. The kids, of course, do not admire the infinity part of it and just jump in together. That will become the main playground for the week-end. We get to know all the people gathered for this week-end and realise that most of them have their kids studying at the famous “Green School” of Bali. It is a sustainable project that aims to prepare the new generation for a greener world in 2025. It is quite fascinating to talk to those people coming from very different background but bound by a same project. All have a very refreshing mindset. Isa and I have decidedto pay a visit now to this school to meet the people again but also to build our own idea about this school. Anyway, the week-end was of course not only about sharing expat experience. 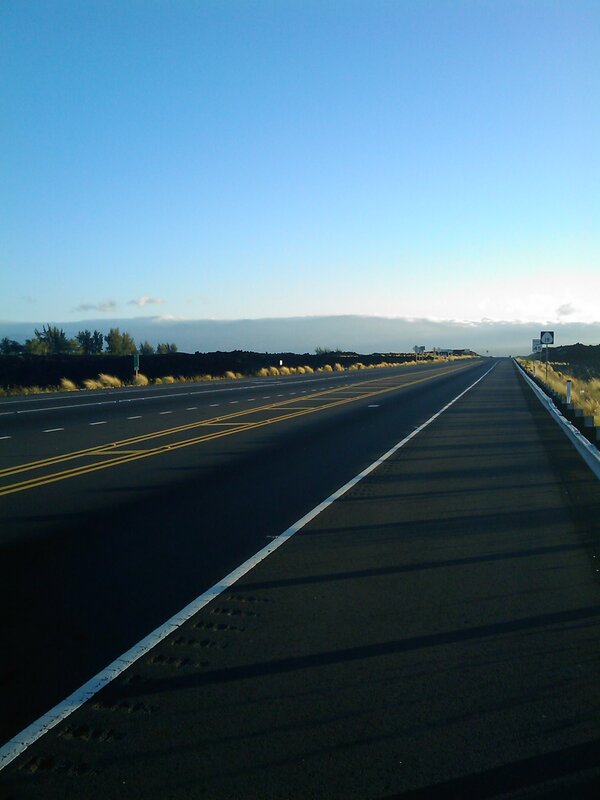 We discover the island on motorbikes, we went swimming and snorkeling and some ride perfect waves breaking in front of the hotel. We discover a beautiful lounge at a secluded beach with mangroves as well as other restaurant the served great food (Linda’s Place), which we never expected on such an island. Overall, probably the best week-end we had on Bali so far. 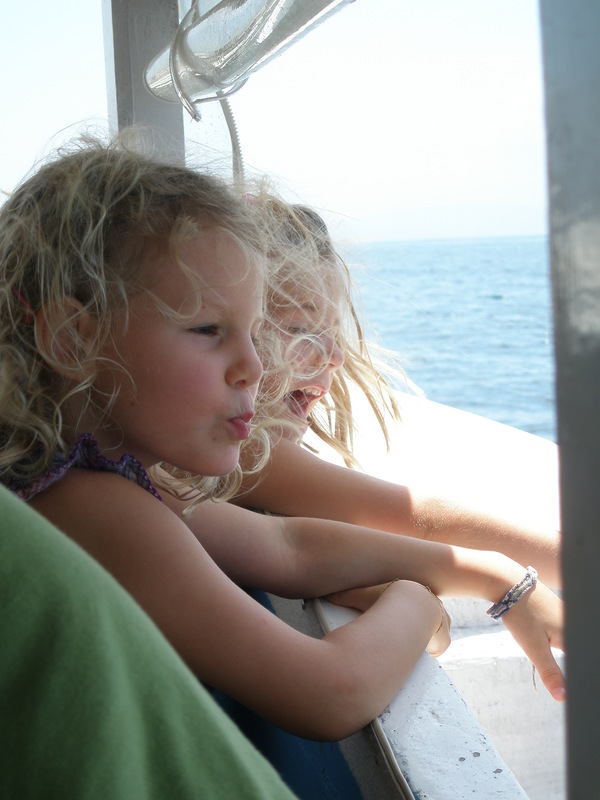 We have now weekdays and week-ends in Bali, since our daughters go now to the bilingual English-Indonesian Pelangi School of Ubud. We decide on Friday night that we will travel to Tirtagangga. We were told by other travellers that the water palace there is truly worth a visit, especially that basins can be used to swim. After a horrendous 2 hour drive in the mad week-end traffic of Bali, we arrive there. Before passing the gates of the palace, we fear disappointment. Well, no disappointment in sight after crossing the gates. Beautiful water fusion-style gardens. Fusion because you recognise classic Versailles architecture, but all statues and ornaments are either Indus or Bali style. Fusion because it was not only an esthetic exercise but also a practical one to build those gardens. We discover a 25m competition swimming basin with lime stone starting block!! To our surprise there is also a 50 meter basin open for swim. All basins, built after rice paddies irrigation principles are filled with deliciously fresh natural spring water. The caption of the spring is situated in a temple just behind the garden. There is also a “Mahabharata” pond with a path made of concrete stilts. This was of course the first activity to tick off with the kids. Running on the stilts without falling in the water. Everybody masters this very well. And now to the pools. The water is clear, the ambiance is great with locals enjoying the fresh water. I decide to do a few laps. After 2 hours, we decide to have lunch in the restaurant of the complex and we ask ourselves whether we should overnight here instead of fighting our way back to Ubud. We ask to have a look at the villas situated in the rear of the complex and to our surprise we discover a cosy little Pool Villa, free for the week-end. We do not hesitate, buy a few T-shirts as pyjamas and new toothbrushes. The next morning we enjoy one more time the pool, the restaurant overlooking the water terraces and we decide this is going to be our “Summer Residence” in Bali. We have booked the villa again in 15 days and are looking forward to spend a week-end at the King’s Water Palace….poshy…hey? After lengthy research on Trip Advisor, we decide to check-in in the Gold Coast Hotel in Tuen Mun, New Territories in Hong Kong. We felt that kids, would like to go to the beach, swim outside in children friendly pools with water slides and not stand all the time in the bustling city centre. The main entrance is beautifully decorated with red and gold fish lanterns. The hotel is luxurious with marble water feature in the huge lobby, a pagoda-style structure, many orchids, a circular bar and good seating. The lifts are glass-sided with polished brasswork on display. We like the well thought architecture of the building (although not really appealing from the outside, it gives most room a good view on the Marina the pool area and the sea. The huge grounds and pools are extremely well maintained, with secluded paths through the gardens. The clientelle are mainly East Asian with very few Westerners, which we enjoyed. Outside the hotel to the left is a marina and a market/shopping area, with a handful of restaurants plus the usual golden arches. We tried three of the restaurants which overlook the marina with outside tables but only “Chili & Spice” had excellent meals. At weekends there are stalls set up along the marina selling trinkets etc. Overall, as a family we feel we made the right choice and are happy to stay here for 3 weeks. In our package the breakfast was not includes and the breakfast comes per person at 150 HK dollars, which we find too expensive for a family. There are some inconveniences as well. You need to take a 35min bus ride for 25 HK dollars to the city centre and you lose some flexibility. Taxi can quickly get a burden for the daily budget. If you check-in this hotel, make sure you have a breakfast included and maybe free shuttle buses.